H. Rick Bamman - hbamman@shawmedia.com Parishioners gather at St. Thomas the Apostle Catholic Church in Crystal Lake for Ash Wednesday Mass. H. Rick Bamman - hbamman@shawmedia.com Pat Dumas (left) of Huntley receives an ash cross on her forehead from Fr. 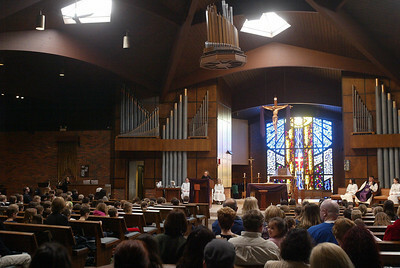 Jerome Koutnik at St. Thomas the Apostle Catholic Church in Crystal Lake. 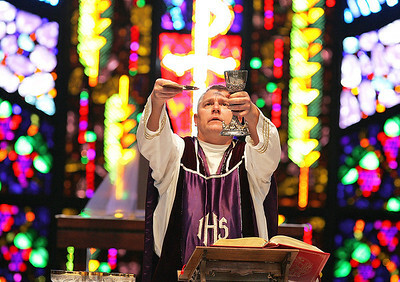 Wednesday marked the begining of Lent and the 40 days of fasting leading up to Easter. H. Rick Bamman - hbamman@shawmedia.com St. Thomas the Apostle Catholic Church parishioner Matt Beilstein listens to Fr. 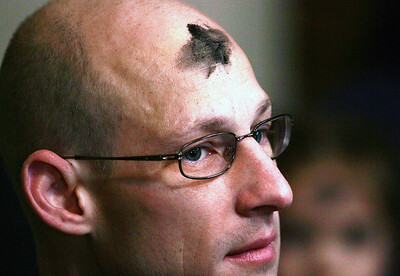 Jerome Koutnik as he celebrates Ash Wednesday Mass in Crystal Lake. H. Rick Bamman - hbamman@shawmedia.com Fr. 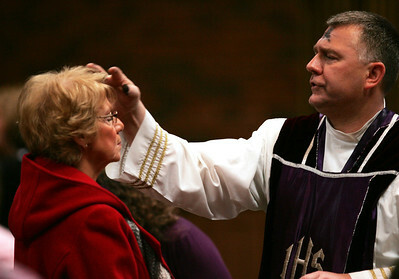 Jerome Koutnik celebrates Ash Wednesday Mass at St. Thomas the Apostle Catholic Church in Crystal Lake. 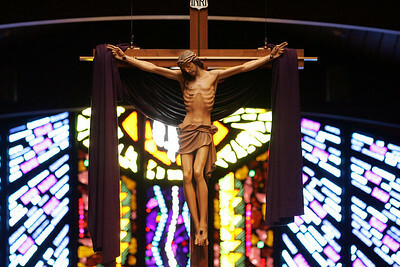 Wednesday marked the begining of Lent and the 40 days of fasting leading up to Easter. 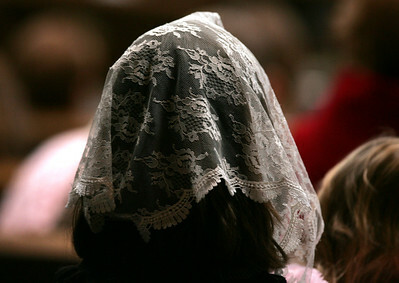 H. Rick Bamman - hbamman@shawmedia.com A parishoner prays during the Ash Wednesday Mass at St. Thomas the Apostle Catholic Church in Crystal Lake. 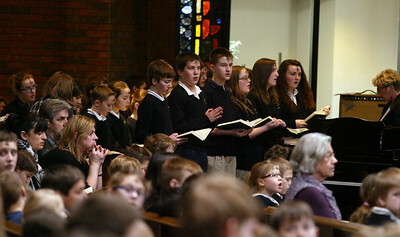 H. Rick Bamman - hbamman@shawmedia.com The St. Thomas the Apostle Catholic School choir per forms during the Ash Wednesday Mass. H. Rick Bamman - hbamman@shawmedia.com A parishioner prays during Ash Wednesday Mass at the St. Thomas the Apostle Catholic Church in Crystal Lake. 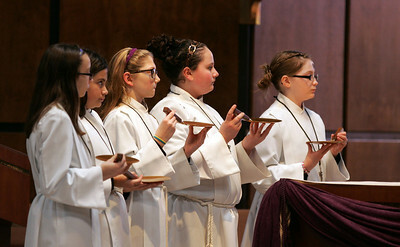 H. Rick Bamman - hbamman@shawmedia.com Alter servers from left Maryclaire Otten, Emma Samano, Jacqueline Mavec, Madden Mackenzie, Valerie Japsen during Ash Wednesday Mass. 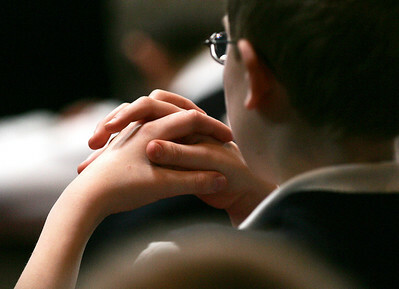 H. Rick Bamman - hbamman@shawmedia.com A St. Thomas the Apostle Catholic School student prays during the Ash Wednesday Mass at during mass at St. Thomas the Apostle Catholic Church in Crystal Lake. 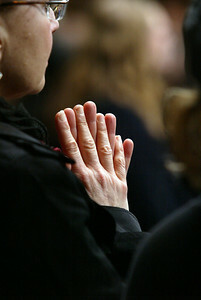 A parishoner prays during the Ash Wednesday Mass at St. Thomas the Apostle Catholic Church in Crystal Lake.